Family: 30 plus years ago, I was a young boy still learning and influenced by everyday life experience, which had not yet met a Muskie. It was around this time that my father had taken the family on our annual camping trip on Lake of the Woods, as we fished all day looking for what at the time seemed to be a mythical creature my father caught his first Muskie! It was that day that left a long lasting impression on my life and got me hooked on Muskie fishing. Fishermen are a strange fraternity and it is my goal to pass along my experiences and knowledge of fishing to help others enjoy the outdoors and join in our sport. I have been Muskie fishing for over 30 years. I spent my childhood fishing Lake of the Woods with a family friend from Morson, Ontario by the name of Brian Major. Brian had a major influence on my love for fishing. Brian taught me so much about Muskies over the years which got me started in the right direction to gain the knowledge I have today. 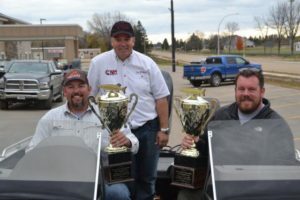 I have spent many days fishing with and learning from some of the best Muskie fisherman in the country while competing in the PMTT and fishing with friends I have made throughout the fishing industry. 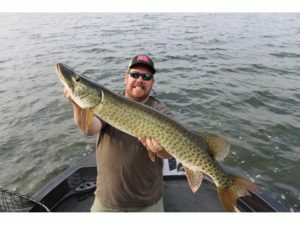 Primary Fishing Strength: Being able to break down and learn new waters quickly by analyzing structure, forage and water temperature and having a lot of experience in the seasonal movements of muskies. Go To Bait: Lungen .22 Short when trolling and for downsizing during post frontal conditions. 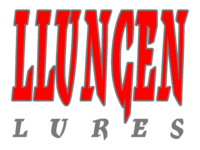 Llungen DC-9 from spring to fall to cover water and locate active fish.